La Provence Day Spa located in Glenwood Springs specializes in a variety of high-quality massage and spa treatments, including facials, waxing, and overall emotional and physical healing. Indulge yourself in an experience you will never forget. 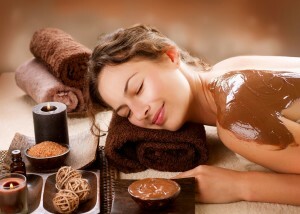 Get dipped in chocolate and receive a great massage that is unique, magic, and rich in positive effects. For best results, we will exfoliate your skin (extra charge) before applying the chocolate. For those that know an hour massage is just not enough, enjoy a unique hour and a half of therapeutic massage with French Lavender (or blended sports oil) utilizing appropriate pressure and aromatherapy to provide relief from sore muscles & joints and enhance circulation and lymphatic flow, helping the body cleanse toxins and achieve a sense of balance and well being. A lymphatic massage to enhance circulation and lymphatic flow, helping the body cleanse toxins and achieve a sense of balance and well being. A sports massage to provide relief from sore muscles and joints. Enhance circulation and lymphatic flow, helping the body cleanse toxins and achieve a sense of balance and well being. A therapeutic massage with French Lavender or blended sports oil utilizing appropriate pressure and aromatherapy to provide relief from sore muscles and joints. Enhance circulation and lymphatic flow, helping the body cleanse toxins and achieve a sense of balance and well being. Our hand picked stones from the Mediterranean Sea will enhance your massage with hot therapy to warm, stimulate and soothe. Includes a steam bath with aromatherapy. New - THE MOST LUXURIOUS MASSAGE ON THE PLANET. The root "Ashi" means foot and "Atsu" means pressure so together they symbolize foot pressure. It is a barefoot technique using deep compression effleurage strokes that glide over the body, provide deep relaxation and stimulate the lymphatic system. Bars are used above therapist for support, balance and lubricant is applied to the body. Remarkable results with back pain clients who suffer from strains, sprains, prolapsed disc, herniated disc, degenerated disc disease, sciatica, scoliosis, just to name a few. This treatment is highly recommended for dry, mature, sun damaged skin. The skin is nourished, softened and visibly radiant. Intense micro-crystals of volcanic pumice (microdermabrasion) will instantly uncover fresh skin. Hand and foot reflexology. Couples deep tissue massage therapy is similar to Swedish massage, but the deeper pressure is beneficial in releasing chronic muscle tension. The focus is on the deepest layers of muscle tissue, tendons and fascia (the protective layer surrounding muscles, bones and joints). This massage is performed in the couples massage room. A 55 minute sports massage to provide relief from sore muscles and joints. Enhance circulation and lymphatic flow, helping the body cleanse toxins and achieve a sense of balance and well being. This treatment is performed in the couples room. Couples Stones de la Mediterranean Sea - 55 Minutes. Our hand picked stones from the Mediterranean Sea will enhance your massage with hot therapy to warm, stimulate and soothe.This treatment is performed in the couples room. Couples therapeutic massage with French Lavender or blended sports oil utilizing appropriate pressure and aromatherapy to provide relief from sore muscles and joints. Enhance circulation and lymphatic flow, helping the body cleanse toxins and achieve a sense of balance and well being. The original European detoxifying and re-balancing facial. A cocktail of marine AHA's and BHA's to exfoliate and smooth out fine lines and wrinkles. A highly effective anti-aging treatment to preserve a youthful appearance. 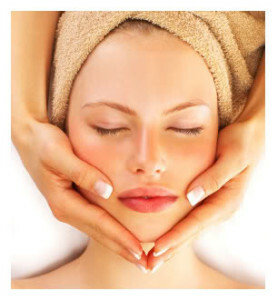 This deep-pore cleansing facial includes skin analysis, exfoliation, oxygenation, relaxing massage and customized mask and hydration. A combination of reflexology, therapeutic massage with aromatherapy and meditation techniques (reiki) can be used to balance your energy flow and increase self awareness and personal harmony. We can help your body in its own healing processes. Not only that, but many methods of alternative, non-traditional medicine can detect imbalances in the body's natural flow which have not yet manifested as a physical problem. Balance can be restored before disease manifests. Cancellation | If cancelling within 24 hours of arrival, payment will be charged in full. Deposit | Credit Card at time of booking.